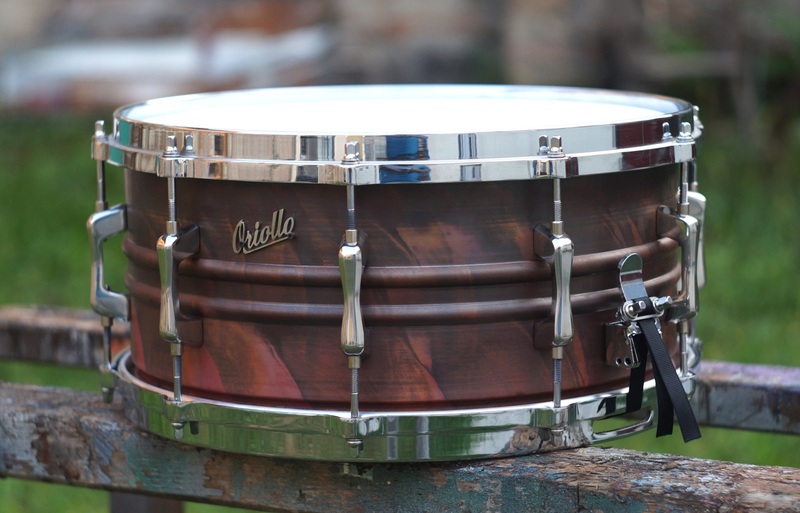 ... but still retains the sensitivity, high end sparkle and explosiveness that is characteristic to all the Oriollo seamless spun drums. Oriollo Bakar™ is a drum made out of single sheet of high quality copper, spun in a seamless construction(?). The process is shown in this video . The bearing edges and snare beds are made using presses and molds/dies so each and every shell is 100% perfect (and same). We're using our own lugs and other quality components(?). 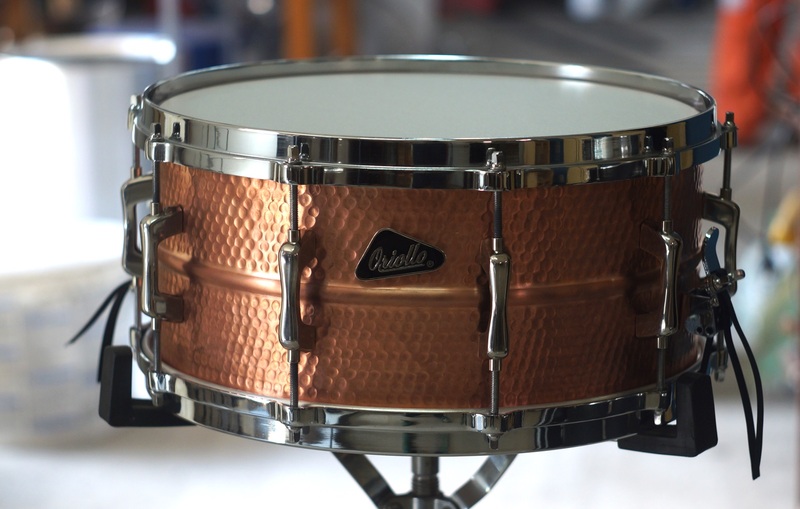 “I started recording an album today with the 15" Copper. It sounds INCREDIBLE. I think it's the best sounding drum I've played in 25 years. I have never had a modern 'boutique' drum before but have owned 1920/30s Ludwig Black Beauties, Yamaha signature drums and a 400 and this, for me, is the finest. Of course, the dimensions and material make it unique but it sounds so thick and rich - I stayed to play long after the rest of the group went home. All the best to you and your company. You deserve all the recognition you get. 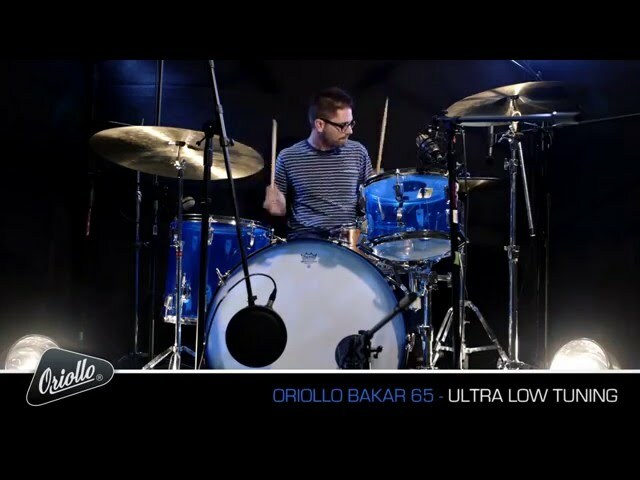 “The Oriollo Bakar 65 has exceeded my expectations. 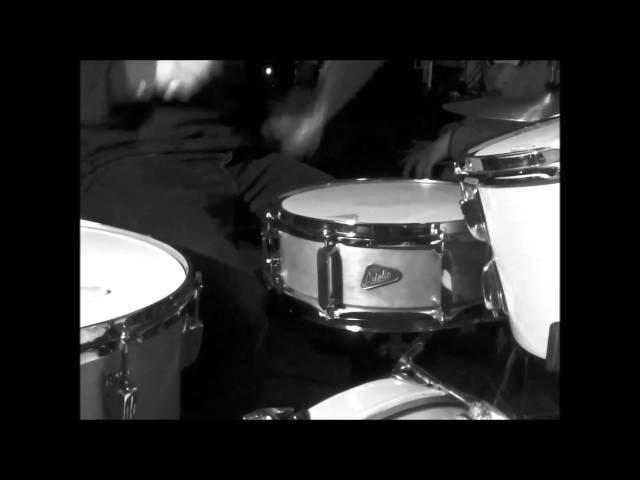 This drum is dark and meaty, but still so explosive and crisp. 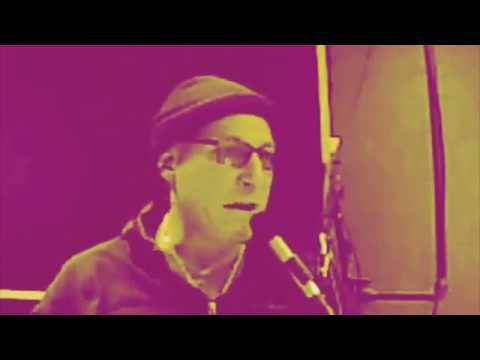 This results in a very well balanced drum across the frequency spectrum that is versatile and can do anything. It records beautifully at all tunings and will be a valuable addition to my collection along side its aluminum brothers.This will easily be my go to recording snare. “Being a fan of fat and focused backbeats, I fell in love with the Bakar at once. 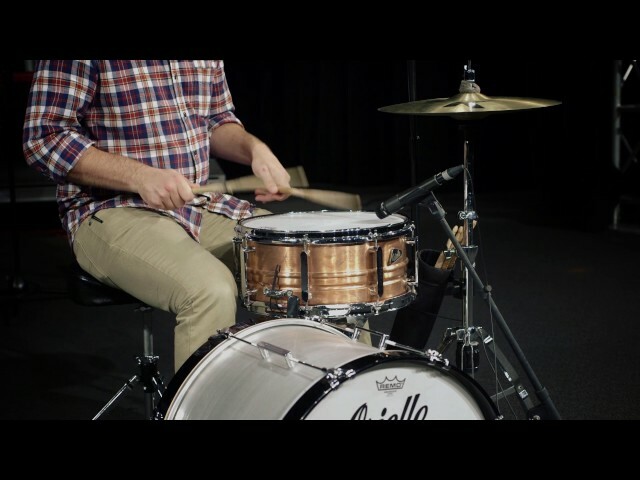 Classic sounds come out of this snare whenever you try a different tuning. The lack of overtones really helps the player find a sweetspot in any tonality with minimal (or no) use of muffling. The Bakar delivers cracking rimshots in an old-school vibe due to its dark sounding spun copper shell. That doesn' t mean that it lacks volume though. 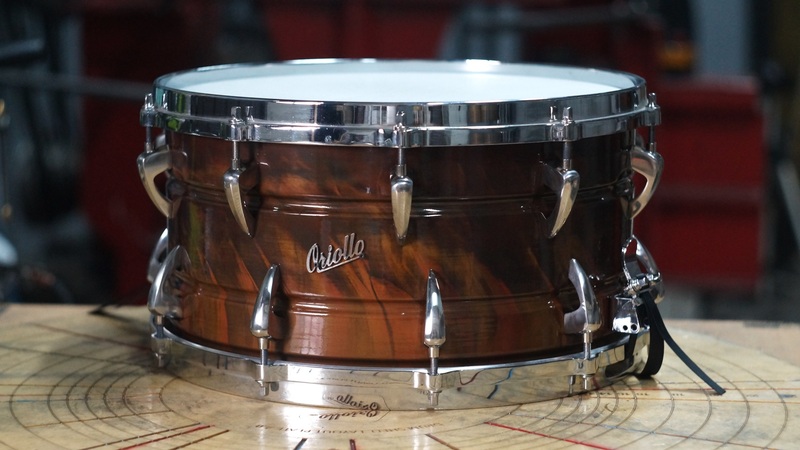 It's hard to think of any musical application that this snare wouldn't shine. 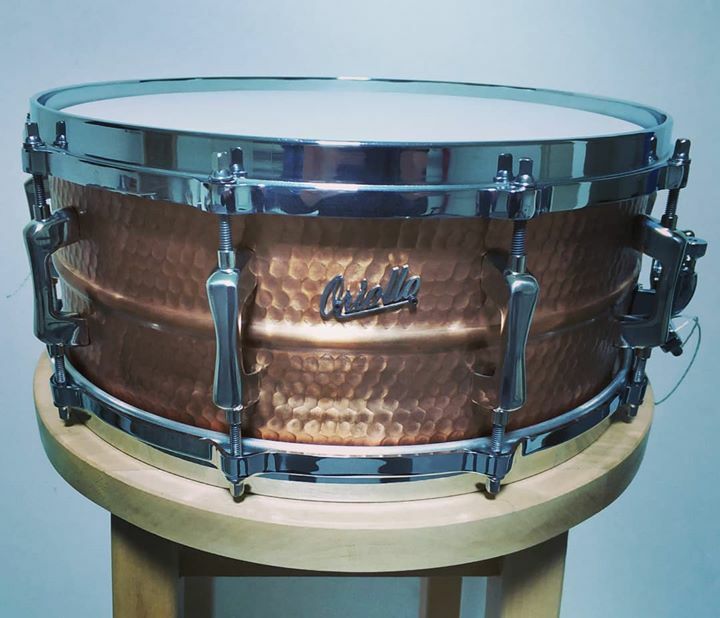 “My copper Bakar snare is full, dynamic, and even at the lowest tunings still has an amazing combination of response and sensitivity. 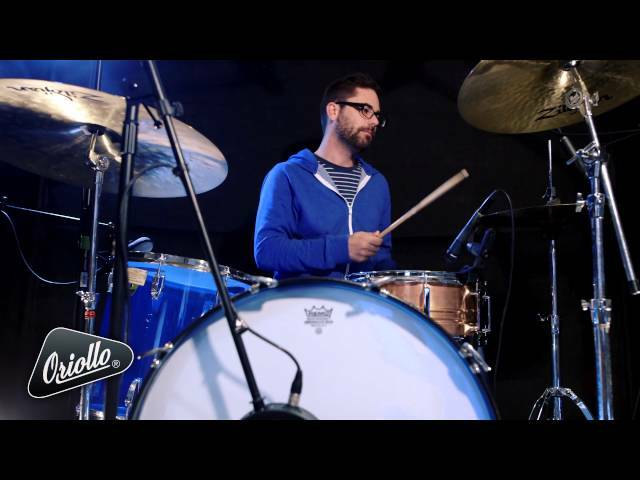 Oriollo has set a stunning standard for metal shelled drums...and I’m all in. You now pay a $200 deposit and the rest when we complete the drum. Please click Submit and wait to be redirected to PayPal.